Forum Index > Historical Arms Talk > Any suggestions as to what to do with this hideous thing? Posted: Fri 04 May, 2018 10:57 am Post subject: Any suggestions as to what to do with this hideous thing? 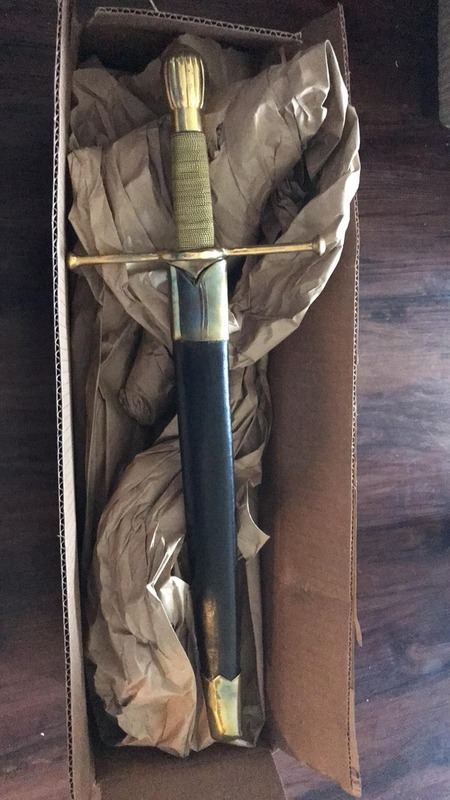 While buying a Windlass Steelcraft Italian Courtier Stiletto I saw a 34 dollar dagger from Deepeeka and I thought to myself "how bad can it be?". I got it just to get the bill over 100 and boy was I negatively surprised. Terrible. I'll let the pictures speak for themselves. Worst part is I can't even touch the hideous thing without gloves because whatever shoe paint they used for the sheath is coming off!!! I was half expecting the blade would rattle or come off the hilt but in that regard it is ok... so far... I want to see if I can leave it at least presentable as a wall ornament. Any ideas? So sorry Hector but Deepeeka is not known for having top notch stuff - although there are a few exceptions to that - and their stuff is priced accordingly. I have handled many, many Deepeeka pieces, nearly all of which had defects in manufacture, styling, authenticity, etc. There is not a lot you can do about it, unless you want to spend a lot of time and effort and some money, trying to rebuild something that, when you finish, will still be worth $34. The leather dies used in India, and Pakistan too, seem to be water soluble, and unable to hold the pigment onto the leather. I assume it washes off your hands fairly easily - it always did for me. What I tried to do with occasional success, was get just as much of the original die off as I could, mainly by rubbing with a coarse cloth. Once you stop getting dry pigment off, then try to redye the leather with Fiebings or some other good quality dye. If that works then apply some leather finish and things should look better. 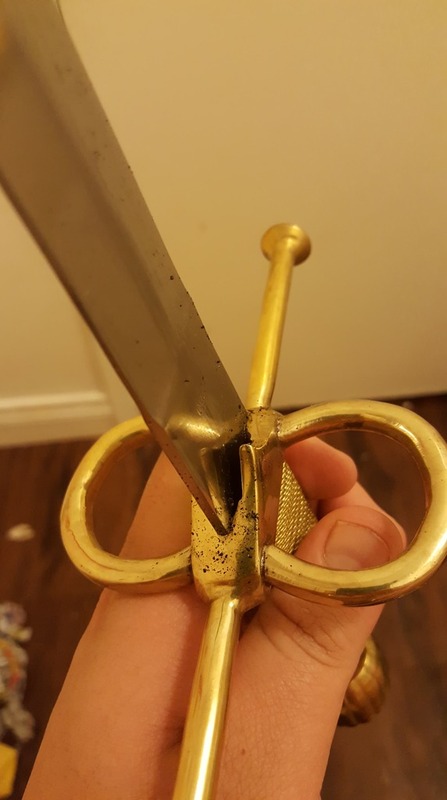 While buying a Windlass Steelcraft Italian Courtier Stiletto I saw a 34 dollar dagger from Deepeeka and I thought to myself "how bad can it be?" Now you know. And knowing, as we have been told, is half the battle (the other half is presumably not trusting a weapon like that in a battle). At least you weren't out a lot of money for it. Might be a good candidate for a project. My brother got an older Deepeeka sword that wasn't great, but the heat treat on the blade is good. Removed the fittings and will eventually put a new hilt on it. I'd suggest taking the dagger apart and seeing what's worth salvaging. 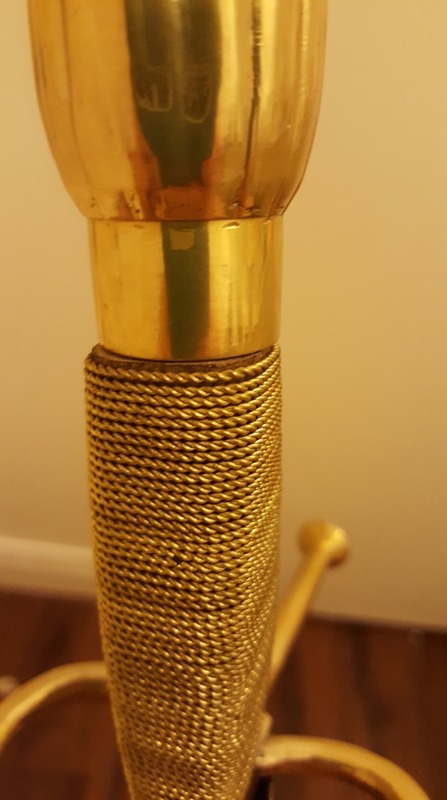 Is it off center because of a bend or because of poor craftsmanship on the hilt? The grip should be redone regardless so it meets the pommel more aesthetically. Kill it. Use fire. Kill it with fire. 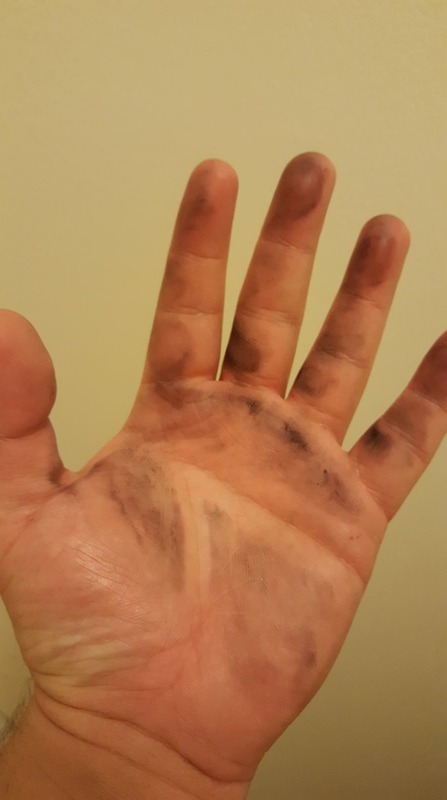 Just like dry-erase markers, shoe polish comes with it's own solvent built in and you can remove the old by simply adding fresh shoe polish and wiping BOTH off before the new shoe polish can dry - might take a coating or two. My guess is that the sheath was covered in a metalic-dye leather, which won't take a vegetable dye color on top of it. So the shoe polish may just be sitting on top of the leather - which was apparently not as dark as they wanted it to look. If that doesn't work, you could also use rubbing alcohol and some elbow grease to remove it. 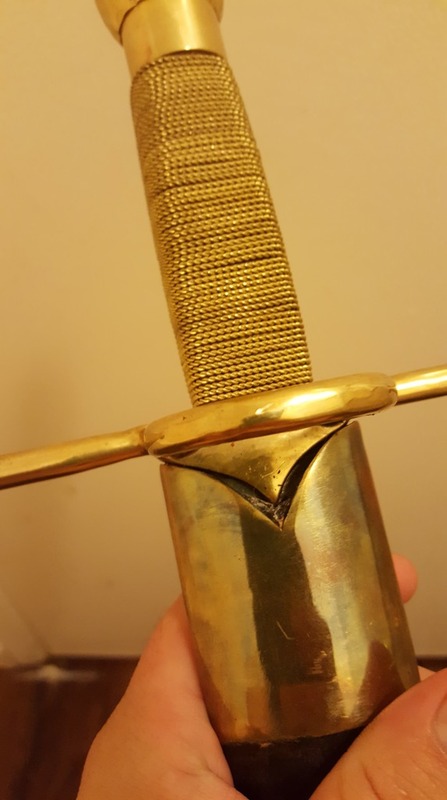 Or you could just make a sheath for it and throw this one away - or keep the metal and throw out the rest of the sheath and re-use the metal on a new sheath. Are you telling us now that they're actually heat-treating these things? That would make them a little more tempting for those of us wanting to work on a project sword without risking a large fraction of capital to do the work. I know in the past some of their blades were heat treated and some were not, don't really know about currently. 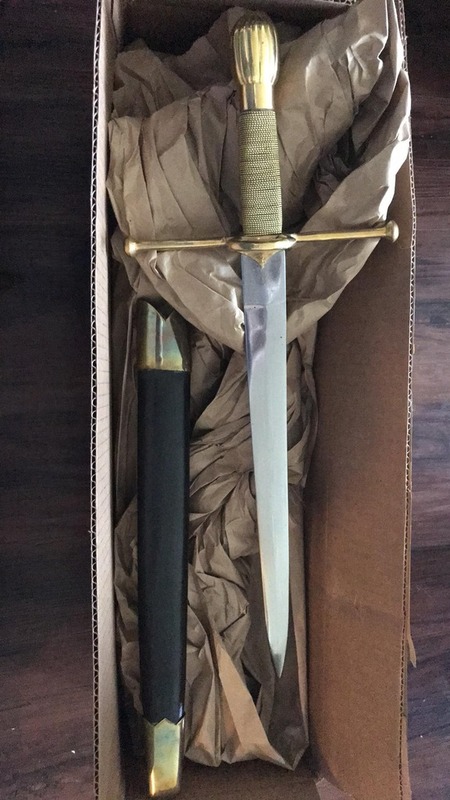 The blade my brother got was an older "scratch and dent" in a KoA mystery crate. I forget which model, but one that is no longer offered IIRC. If I were interested in a Deepeeka I would see if KoA has it in stock and ask if it's heat treated. There are very few consumer protection laws in India and the ones that do exist rarely get enforced. Depeeka says whatever they want on their website to generate sales and are big enough to afford bribes to keep authorities off their back. In reality they use recycled steel and have no idea what sort of quality it is; each batch is completely different. Even if they do heat treat the sword, it won't help if the steel doesn't have the right level of carbon in the first place. 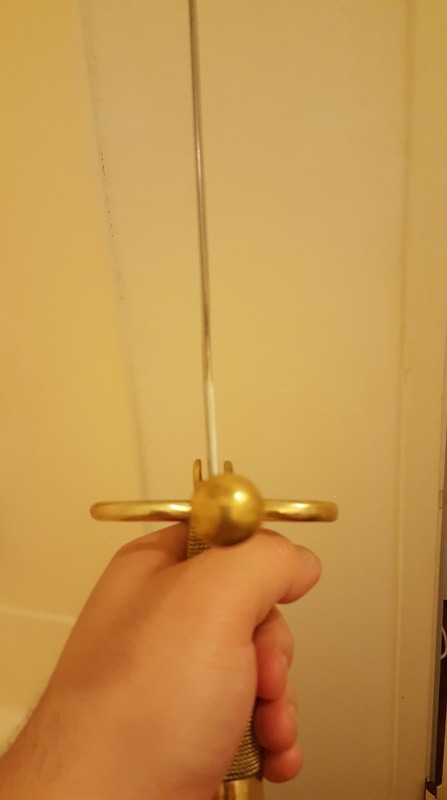 There is no way to know whether a Depeeka sword came from a good batch of steel until you buy it and test it yourself. Best to buy from an American or European distributor because then you are protected by local consumer laws. If I were interested in a Deepeeka I would see if KoA has it in stock and ask if it's heat treated. This won't help. You need to ask them what sort of steel it is made from. Heat treatment is useless if it isn't applied to the right type of steel. KoA won't be able to honestly answer that question unless they test the blade themselves because even the manufacturer doesn't know. Usually distributors just repeat what the manufacturer tells them with no independent verification. It's well-known that only certain steels can be properly heat treated for use as weapons or tools. My point was that KoA is more likely to actually check a piece rather than simply reiterate what the manufacturer states. Of course they may not do so, but it doesn't hurt to ask. They probably won't know the exact alloy used, but that doesn't really matter if the end result performs properly. "Battle ready" usually means that it is heavy and cumbersome. The quality of their steel is random.